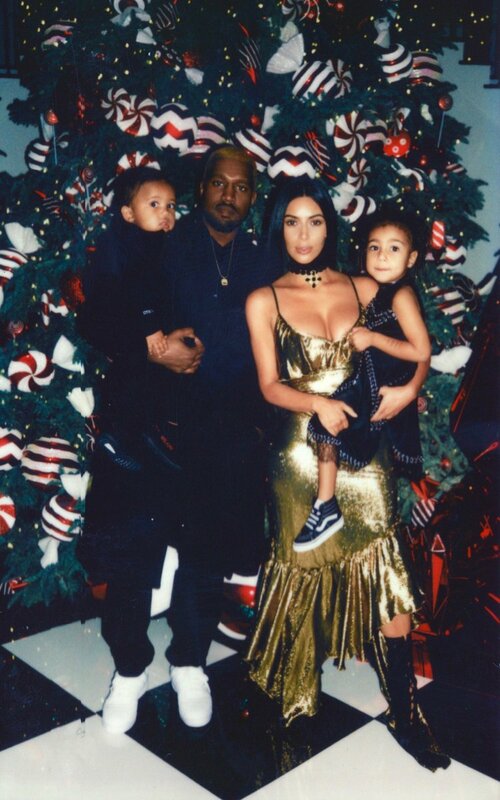 Kanye West, Kim Kardashian and their kids - North and Saint West look so relaxed in the adorable family photo shared for holiday season. A recent study conducted by James A. Roberts of Baylor University has revealed that "phubbing" is dangerous to a healthy relationship. To "phub" is to snub someone in favour of a phone - specifically, a smartphone. Many New Year’s resolutions involve physical improvements, such as losing weight or abstaining from a vice. However, for 2017, you might want to consider investing in yourself instead by developing a personal branding strategy and creating new career opportunities. 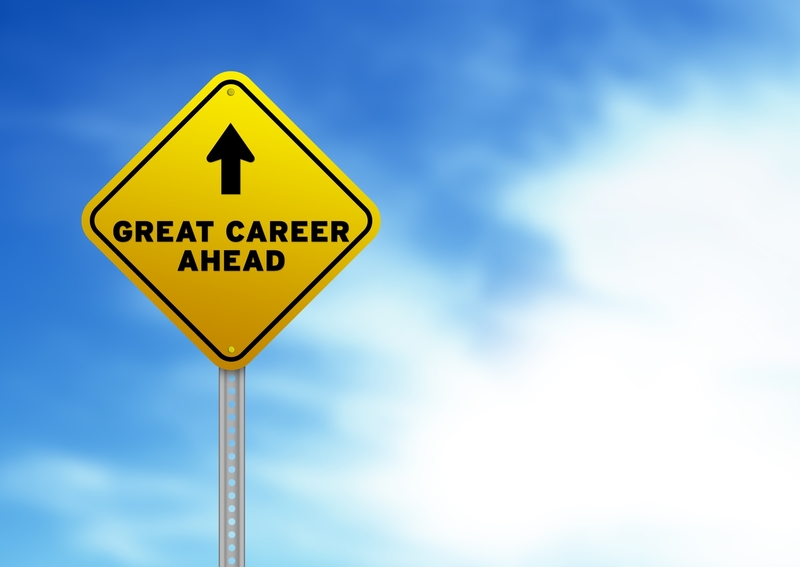 Career growth doesn’t have to mean a promotion at your job. Investing in yourself can lead to greater lifestyle freedom, more money or just a higher degree of fulfillment in your professional life. Here are seven strategies for investing in yourself in the coming year. Pollard recommends taking two steps to position yourself as a specialist in your field. First, decide what it is you want to specialize in and what you believe you can sell. Second, immerse yourself in that specialty. For example, if you drive trucks, don’t promote yourself as a truck driver; instead, brand yourself as a refrigerated freight driver who specializes in transporting medical goods. LinkedIn is a career-focused social media site. With 467 million members, it bills itself as the “World’s Largest Professional Network” and is used by people in a wide range of industries to learn, network and locate job opportunities. If you haven’t signed up for LinkedIn, 2017 is a great time to create a free account. And if you already use the service, make it your New Year’s resolution to revisit your profile, update your information and remove anything that’s dated or irrelevant. “It’s time to overhaul your LinkedIn profile so that it represents your personal brand, career story, accomplishments and successes,” said Jessica Hernandez, president and CEO of Great Resumes Fast. Additionally, you should dig deeper and exploit the various resources offered by the site. Just because we live in a digital world doesn’t mean physical business materials hold no value. You’ll make a far better impression at your next networking event by handing over a professional-looking business card rather than a hastily scribbled note on a cocktail napkin. Fortunately, you don’t have to be a graphic designer — or spend a fortune — to create high-end cards. Sites like Fiverr let you hire freelance designers to create professional business cards for as little as $5, while VistaPrint offers low-cost, entry-level cards starting at $9.99 for 500. However, you might consider upgrading if you have the means. “Spend the extra money to make your card feel and look amazing,” Michael said. Having a well-written, attractive and easy-to-navigate website can help position you as a professional among amateurs. Additionally, a professional website enables you to stand out, extend your reach and control your online image to a certain degree. And you don’t have to be a web designer — or independently wealthy — to create a website that turns heads. According to the Bureau of Labor Statistics, roughly 25 percent of Americans perform volunteer work, with women outpacing men in this arena. Donating your time, energy, talent and skills isn’t just good for the community; it also boosts self-worth. Additionally, volunteering can help your career and personal brand. Woody Guthrie mentored Bob Dylan. Maya Angelou mentored Oprah Winfrey. Investment guru Warren Buffett was mentored by legendary investor Benjamin Graham. In fact, some of the most noteworthy people in history credit their success to the relationships they built with their mentors. When choosing a mentor, focus on the person, not the profession or position. It’s also wise to look outside of your job or industry to find a person with a fresh perspective. Finally, be worthy of a mentor. Good mentees aren’t seeking someone to lean on; they’re looking to grow and are eager to put the guidance they receive into practice. If you want to climb the career ladder in 2017, consider hitting the books. You can find affordable courses at your local community college. However, these days, you don’t have to leave the house to improve your knowledge base. Many sites offer free or cheap courses, workshops and other programs that can help you grow as a person while growing your resume. EdX, for example, offers free courses from some of the world’s most highly regarded learning institutions, including Harvard, Berkeley and MIT. Similarly, Johns Hopkins offers education to the public through its courseware site, as does Carnegie Mellon. Stanford University provides open classes on iTunes, and Coursera and Skillshare both offer specialized courses. If you’re looking for a New Year’s resolution that you’re sure to keep, resolve to invest in yourself in 2017. Studies have shown that cats who live indoors tend to live longer than those who are exposed to outside dangers such as traffic, predators, diseases and animal abusers. Because of this, keeping your cat indoors is something you should definitely consider. Still, if you're going to keep your cat indoors, there are some adjustments you should make in order to make your home more cat-friendly. We have come up with 5 that are guaranteed to help you create a place that your feline friend is going to enjoy living at. All the cats love taking some time from social demands and spending some time on their own. That's why you should find a perfect spot and create some private space for your cat. 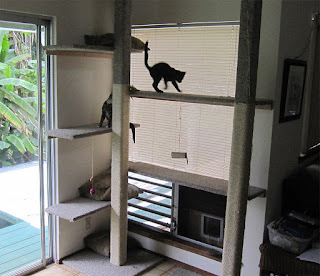 This is something that can easily be done by making the space behind your sofa or under your bed available for your cat. If you want to make sure your cat enjoys spending time at that spot, you can always place a blanket there. It's important to mention that cats shouldn't be disturbed while using their private space unless it's something that simply cant wait. If you want your cat to feel cozy all the time, you should buy a lot of pillows and place them all around your home. What's great about having so many pillows is that it doesn't only make your home more suitable for your cat but it also makes it look better. You can put these on your bed, sofa or simply keep a few of these on the floor for your cat. 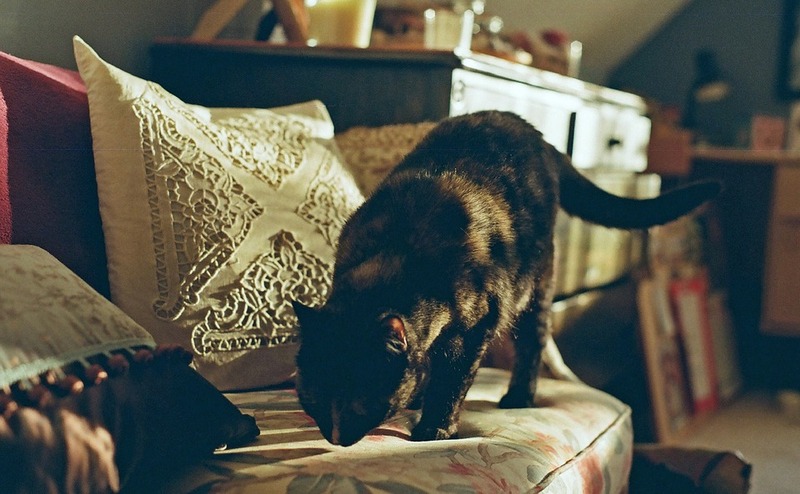 Cats rest even up to 16 hours a day, which means there can never be too many spots for relaxation in your home. When it comes to material for your pillows, you can go for absolutely anything you want. 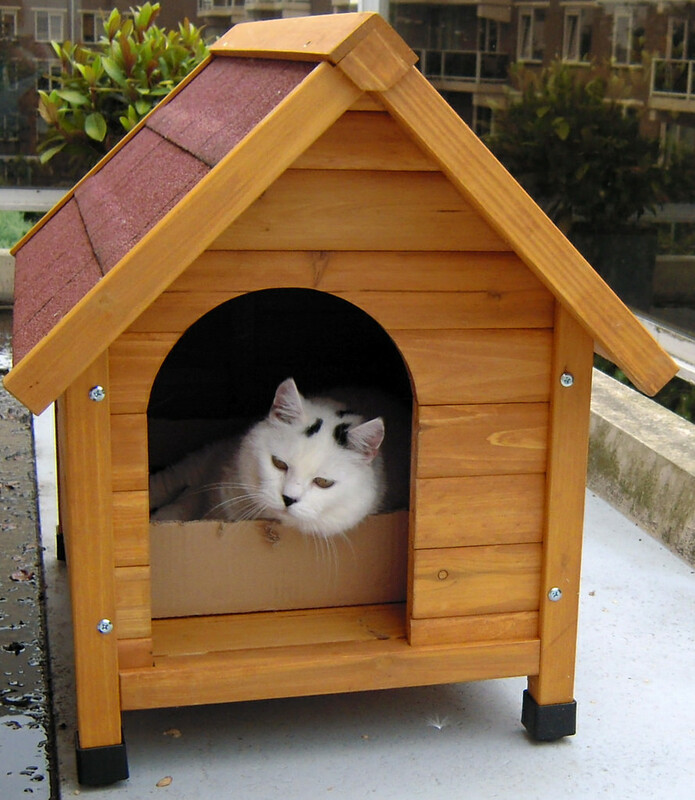 Your feline friend simply needs to experience outside world even if you are having them live indoors. So when making your home more cat-friendly, you should also try to create a perfect spot next to the window for your cat so that they can get all the outside world they need. Just make sure there is a place where your cat can sit or lie down while looking outside. 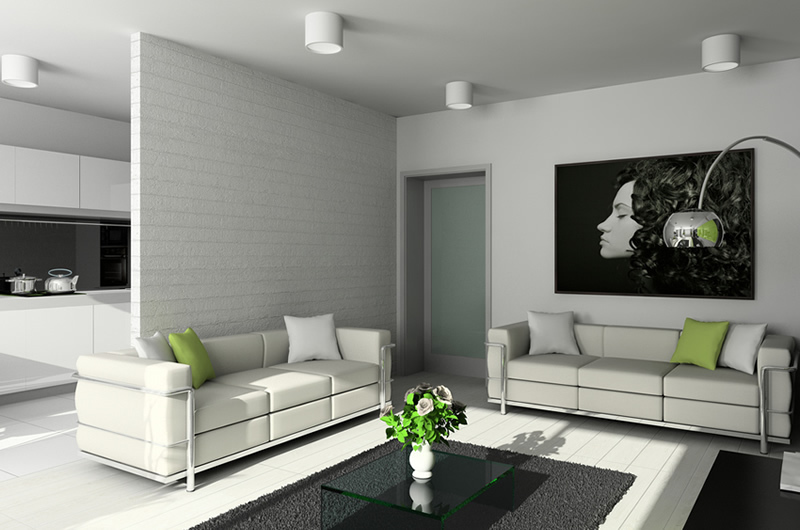 If your windows is too high, placing a chair or a coffee table next to it is always a good idea. 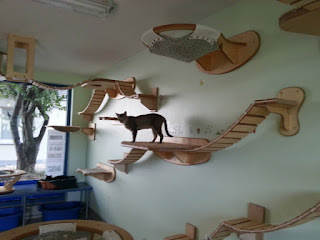 Since cats spend quite a lot of their time sleeping, you'll want to make your home more enjoyable for your cat you should get a bed especially for them. Today, there are beds that are specifically designed for cats to feel more comfortable. Of course, you should never go for the first cat bed you come across. Just like with any other cat accessories, you should always buy at a proven store like Net to Pet. When it comes to the positioning of your cats bed, make sure you put it somewhere quiet and warm. Another thing your cat is going to need is something to scratch. 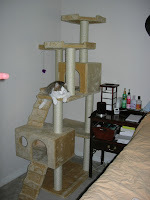 This is the case because cats need to maintain their claws and mark their territory. 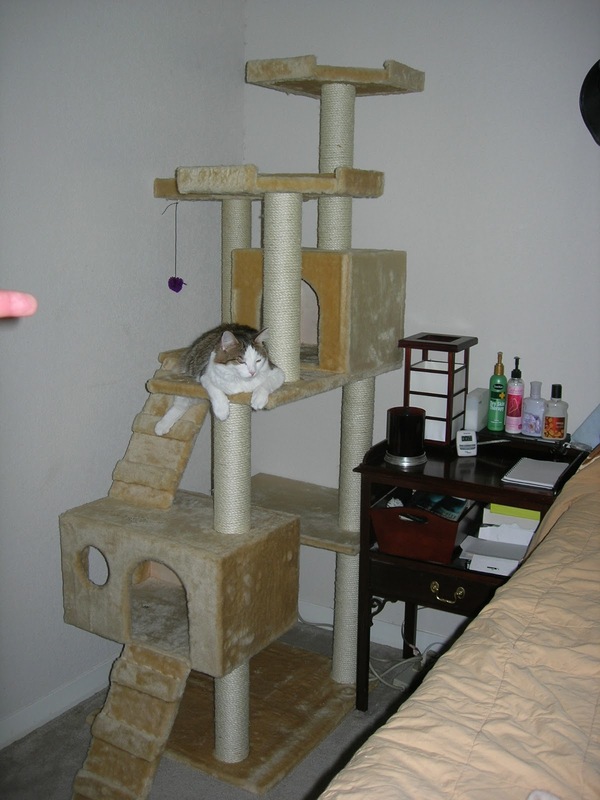 Having this in mind, getting a scratching post is extremely important, especially if you don't want to end up with scratched furniture. 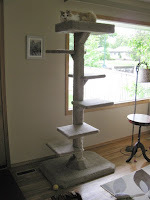 When choosing a scratching post for your car, make sure you always go for the tallest one you can find. If you do that, your cat will be able to scratch vertically at their full stretch. 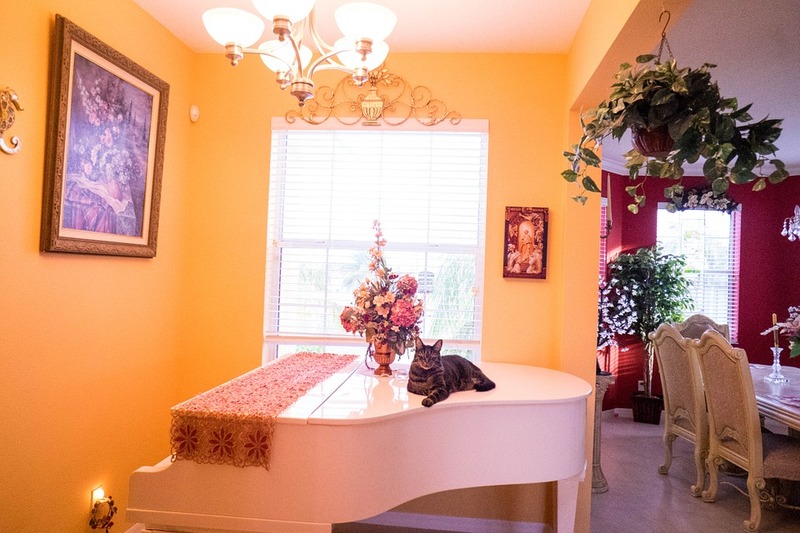 Follow all of these 5 tips and you will turn your home into a real cat-friendly place. And there's no reason to stop there. 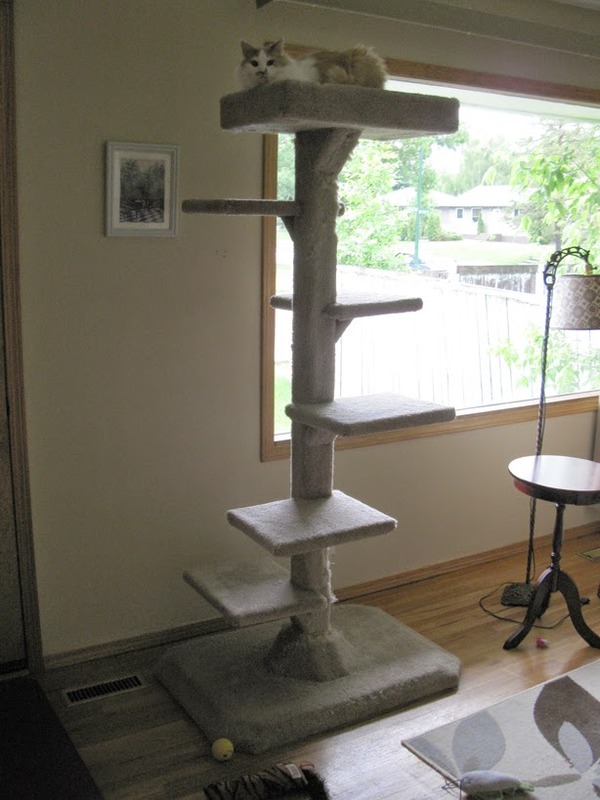 Always keep looking for some new ways you can make your home more enjoyable for your feline friend. 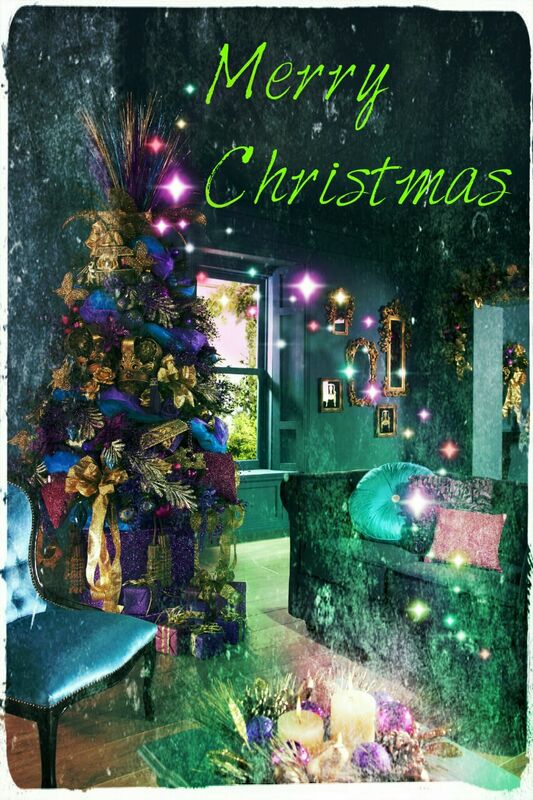 Wishing all our readers a Merry Christmas and a prosperous New Year in advance. Thank you for everything. As 2016 comes to an end, it is time to see what the interior design industry has to say about 2017. We are expecting a lot of intriguing and fresh trends to surprise us in the upcoming year. If you want to do some remodeling and don’t know where to start, then this will help. Here are some of the biggest interior trends to follow in the upcoming 2017. Most people wish they had spacious bathrooms. In 2017, the emphasis is going to be on smaller and more private bathrooms. These will feel more intimate and personal when compared to luxurious and large bathrooms we are used to. This trend might be caused by smaller apartments in urban areas which don’t allow for large rooms. But just because it is small, doesn’t mean it can’t be stylish, comfortable and functional. Another trend that we will see in 2017 is the return of retro furniture. 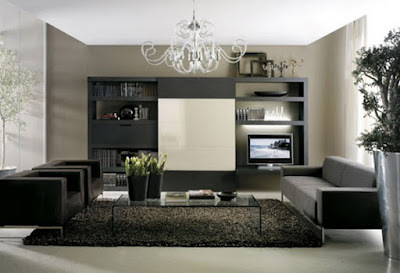 With retro style becoming popular again in many aspects of fashion, it is no wonder the same happened with furniture. We will see the return of colorful and psychedelic patterns, like we used to see on every furniture piece in the ‘60s. 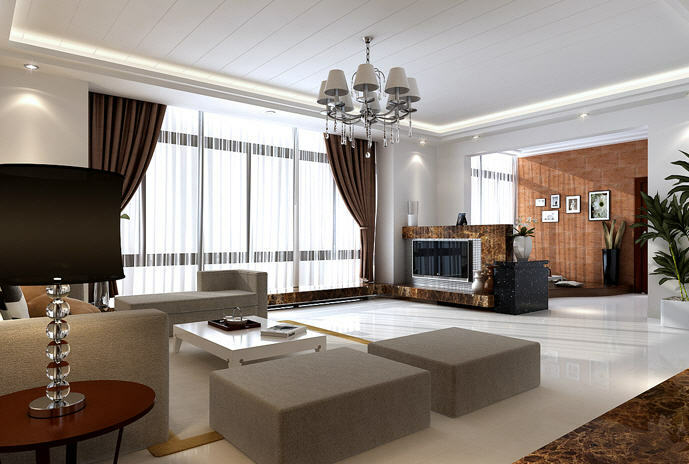 This blast from the past will be felt on other interior design elements as well. Lamps and light fixtures are getting a remodel, we will see an increase of metal and ceramic light solutions. Designers are bringing in nature into our homes. This eco-friendly idea will make homes more stylish, elegant and healthier. Plants are natural air purifiers, so why not introduce some into our homes. They will clean the air, keep humidity in check and provide fresh air to inhabitants. Walls covered with greenery are becoming trendy. 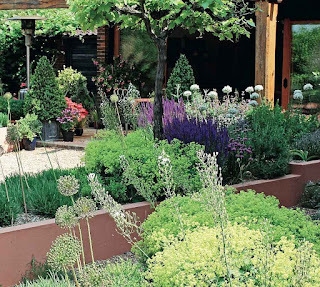 But several pots with big plants will do the trick. Enrich your home with soothing greenery and make a relaxing ambient inside your home. In the upcoming year, we’ll see a return to more organic and natural textures. Homes are about to become cozier and welcoming with the introduction of natural materials. Wood, cork and wool are about to become part of every modern home. These are materials that can be used in almost every room. The designers are bringing the outside into our homes as well. 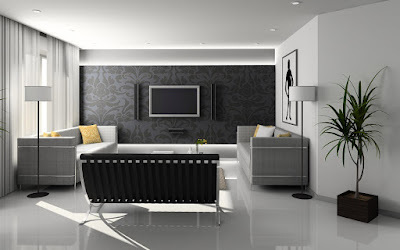 They are turning decorative concrete into an essential piece of interior design. It is a sustainable material and easy to clean. 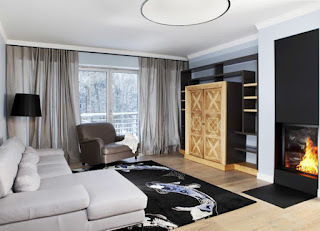 It has a wide color palette which makes it easy to fit into any room. Everyone is trying to make their homes unique in some way. This is hard with the use of mass produced furniture. This is why handmade products are gaining popularity; these pieces are bound to be unique. Introducing several unique items into your home will make it stand out in the crowd. Look for handmade lamps, chairs and decorating ornaments. Nothing makes a room cozier than a fireplace as a centerpiece. With new technological advancements, we can have fireplaces without the smell and ash. New gas and electric fireplaces are a replacement for old and obsolete wood burning ones. With 2016 almost over, we have to look forward and see what innovations designers have for us in 2017. Retro style furniture will add style to our home. 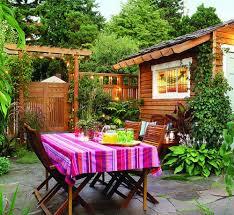 We should introduce greenery into our homes to make the space healthier. Handmade items can make every home unique. And minimalistic approach to design is becoming more popular as the apartments get smaller. 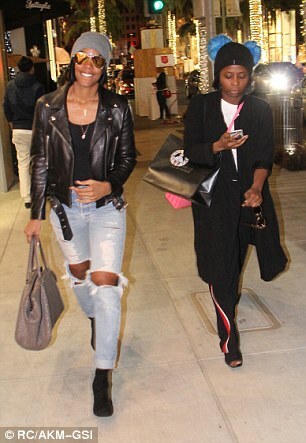 Kelly Rowland looked stylish as she went shopping with her girlfriends around Beverly Hills on Tuesday. The 35-year-old singer and Chasing Destiny leader rocked a black leather biker jacket on distressed blue jeans. She is really a stunner. It takes a lot to maintain dental health. You need to follow oral hygiene care on a regular basis. You also need to brush, floss and tongue-clean to keep bacteria and plaque away. Despite all this, you’re never assured of healthy teeth and gums. Why? Because of your foods and eating habit. Your foods or diet have a lot of say on the kind of dental health you’ll have. Which means, you need to be careful with what you eat or there are certain food items that can harm your teeth and gums to a great level. After all, key nutrients are needed to maintain your dental health. You are not supposed to eat acidic fruits or foods rich in sugar as they can impact the teeth and gums to a great level. Similarly, you should be careful about drinks as everything is not meant to be drunk. Cheese is rich in calcium, helps lower the acid level in the mouth and stimulates saliva production, and all this keeps bacteria away and gives healthy and strong teeth. By eating more of leafy greens like spinach, broccoli and kale, you enrich the body with key minerals and vitamins and keep the teeth and gums healthy and vigorous. Eating fish and meat on a regular basis means you enrich the body with key minerals and vitamins like Vitamin D. These nutrients are very helpful for your dental health. The amount of calcium and probiotics found in yogurt is good for your dental health as they keep your teeth away from cavities, gum disease and even bad breath. Minerals and vitamins are found in great amount in carrots making them very helpful for your dental health. While the anti-microbial properties of garlic are great in fighting against tooth decay and periodontal disease, the elements found in ginger inhibit bacteria growth and keep the breath fresh. Your regular diet should have whole grains as this helps keep the risk of gum diseases to a lower level. The strong anti-bacterial properties are very helpful in fighting against bacteria causing cavities and gum disease. Sweets potatoes are great for your oral health. Include them in your diet and get a healthy dose of vitamin A. This is how enamel and gums are kept healthy and disease free. Nuts should be part of your regular diet as they are good for fighting tooth decay and keeping the risk of bacteria away. So, eat almonds more regularly and maintain your dental health. Milk is perhaps the best drink for your teeth. It’s a rich source of a range of key nutrients and elements, including calcium. By drinking milk on a regular basis, you fight tooth decay as the acid level is lowered in the mouth. Dentists recommend drinking lots of water on a regular basis. In doing so, not only you keep the saliva level high in the mouth but also wash away food articles to keep plaque and bacteria away. Similarly, water is rich in proteins and minerals that keep you away from plaque and associated risks. Drinking more of unsweetened black and green tea is very helpful for your dental health. Such tea items are rich in polyphenols and they cut down the level of bacteria and its toxic products. Further, their richness in fluoride also makes them helpful for your healthy teeth. Although drinking black coffee is not suggest for staining the teeth and causing tooth decay, the unsweetened one however, helps a lot to your teeth. Such coffee helps fight off tooth decay and keep you away from the risk of plaque. Although drinking more of red wine is not recommended, a glass of it on a regular basis can help your dental health. After all, red wine comes with powerful antimicrobial effect and help you stay away from cavities. In overall, consume only helpful foods and drink to keep your teeth and gums healthy and disease free. Author Bio:- Roman Beres is an expert writer and blogger with a strong passion for writing. He shares views and opinions on a range of topics such as Business, Health/Fitness, Lifestyle, Parenting and lot more. He works for Dental Clinic and helps you find the best Dentist Bayside NY City. The World Health Organisation for the Western Pacific launched on Monday a new tool to protect children from unhealthy food and drink that cause obesity and other serious health problems. 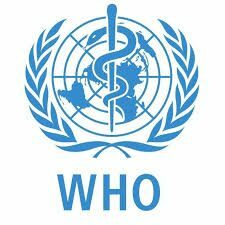 The regional nutrient profile model is for use and adaptation by Member States of the WHO Regional Office for Europe when developing policies to restrict food marketing to children. The tool, called the regional profile model, would help governments and policy-makers to more easily identify food and non-alcoholic beverages that should not be marketed to children. “Nutrient profiles rank foods by their nutritional composition. Across the Western Pacific Region, the WHO said marketers of unhealthy food and beverages targeted children. These food and beverages are high in calories, saturated and Tran’s fats, salt and sugar, the consumption of which are driving exploding rates for obesity and other health problems in many countries across the region. “Children are constantly bombarded with clever marketing campaigns that use advertising, promotion and sponsorship techniques pioneered by the tobacco and alcohol industries,’’ Shin Young-soo, WHO regional director for the Western Pacific, said. Kate Middleton stepped out for a charity event wearing a printed Vanessa Seward frock in London yesterday. The Duchess was in the company of her husband, Prince William and her brother-in-law Prince Harry. The charity event was a Christmas party by youth service foundation "The Mix". The Mix is an organization dedicated to helping young people struggling with difficult circumstances by providing confidential support via social media or a helpline. Kate looked so gorgeous in the flowing gown. Meanwhile, the festive green and red dress is already sold out. What is the easiest way to lose weight? Ask this question to any health expert and be sure to get the answer – jumping. You can jump your way to lose a lot of calories and get a slim and toned body! Similarly, jumping helps you get firm and toned muscles. It keeps you lively and energetic. You are also less likely to get into the throes of stress and depression issues. Yes, jumping is that much beneficial to the body. It brings a variety of health benefits to keep you fit and disease-free. Did you know all this? Perhaps not, and that’s why you feel surprised! Why jumping is beneficial to your body? Most of us are not aware that jumping is a beneficial exercise. But now when many studies and researches have concluded the same, including the one from NASA in way back 80’s, we have no reason but to believe! However, we have every reason to know what makes jumping such a beneficial exercise. · Jumping keeps you away from aches and pains felt in the legs, hands, neck etc. In overall, we can see how a simple and fun exercise like jumping can help us in so many ways. We should then benefit from it! Akshay Sharma is a digital marketing enthusiast and has written many topics in the related field. Currently, he is giving time to write for trampoline park. Unfortunately, not many can afford a seven-level penthouse or a three-story mansion to savour in the sweet delight of their home sweet home. In reality, most of us live in efficiency apartments or cramped studios with a high chance of developing claustrophobia. In this constant state of cabin fever, certain individuals have found a handy solution on how to make their spaces bigger, or better said, make them appear bigger. The first rule of optically expanding a room is giving it some proper foundation colours. The best solution for background colours are certainly light hues and neutral colours like white, grey, beige and some shades of blue. Saturated colours are always a good choice, while you can use different shades of specific hues to break the monotony. For example, a white foundation combined with alabaster or cloud white makes an exceptional choice, but you can always rely on solid grey accompanied by a foggy or smoky grey to get the job done. Permeate the room in these lighter shades, paint both the ceiling and the walls and you’ll create an illusion of a much broader space without losing virtual interest. Another common technique which is used to add depth not only to spaces but also to common objects is called glaze layering. While this method is usually used in art for the sake of changing the hues, Chroma or value of the art piece, wall glazing has become quite popular as well, as a simple way to add texture and depth to the room. The most common choices are water-based or oil-based paints that help achieve the desired look, but it’s also recommended to use different colours of the similar shade, to create that mixed colour look. Of course, those who prefer deep, dark or bright colours shouldn’t despair, as there are simple ways to implement a bit of excitement in these seemingly bland settings. Creating an accent wall by painting it in a brighter hue can actually make the space appear larger, as it’ll create a visible contrast when compared to the lighter colours used for foundation. The same goes for focal points or adding unexpected splashes of colour to certain objects like cushions, area rugs or curtains. You can even try to create a colour gradient with ombre design, as the transition from darker to lighter hues will make the room look as if it’s getting bigger and bigger. Lastly, if you’re feeling like you need to make your whole apartment a single entirety, you can easily accomplish that by connecting the rooms with different shades of the same colour. 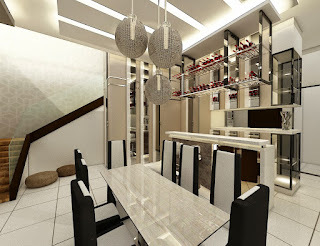 This will help you create an illusion of interconnected spaces, which will add to the feeling of a broader area. You can easily do this project on your own, by painting radiators or pipes which lead to other rooms, just remember to use quality paint, good brushes and to invest in paint cleaners with acetone or methylated spirits. Just because you’re condemned to live in a small home, it doesn’t mean that you should feel like you’re spending your days in a cage. 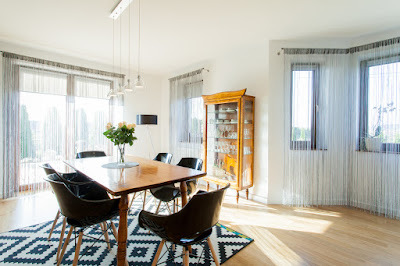 Break free from your shackles by implementing some easy and yet effective tricks to create an illusion of a bright, breezy and spacious home, where you’ll feel comfortable and serene. Now that 2016 is wrapping up, it’s a good time to think about what you want to change in the upcoming year. Old habits can be hard to break, but it will pay off in the long run and make all the difference in your work. Here are a few tips to put your best foot forward. 1. Network early. Reach out soon after the New Year to ask about people’s holidays. Set up lunches and coffee dates to reconnect with colleagues you haven’t spoken to in a while. 2. Maintain an online presence. Have you fallen behind on updating your LinkedIn profile? Expand your network online, and keep a steady social media presence. 3. Take advantage of the morning. It’s easy to fall into a habit of cruising through the early hours in a coffee-addled stupor. Make a habit of creating goals for the day and tackling your hardest tasks first. 4. Ask for what you want. Don’t expect that a promotion or new job function will magically arise just because you want it to. Know exactly what you want, and be direct with your supervisors. Make a plan for how to reach your goals. 5. Keep your options open. You don’t need to be constantly on the job search, but be flexible if new opportunities arise – you never know what new direction you’ll be heading in the New Year. Newly-wedded couple showed their love for Chelsea by having the Blues-themed wedding with decorations and gifts. The bride and groom were surrounded by white and blue flowers as they sat on a white chair on top of a Chelsea rug. There were also gifts with Chelsea badges scattered everywhere. 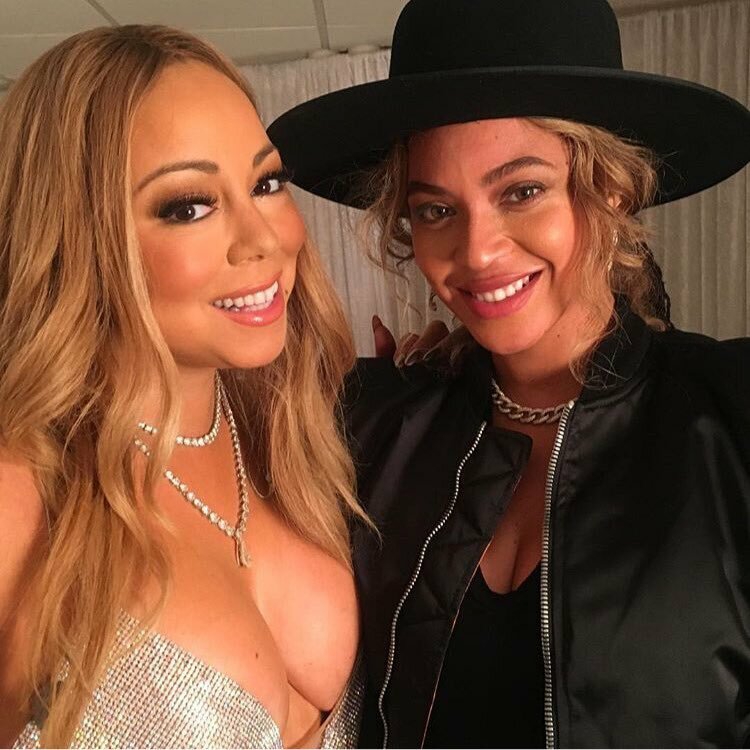 Mariah Carey shared rare photos of herself and Beyonce on social media. Beyonce attended the 47-year-old "You're Mine (Eternal)" singer's All I Want for Christmas Is You concert in New York with her daughter Blue Ivy at the weekend. 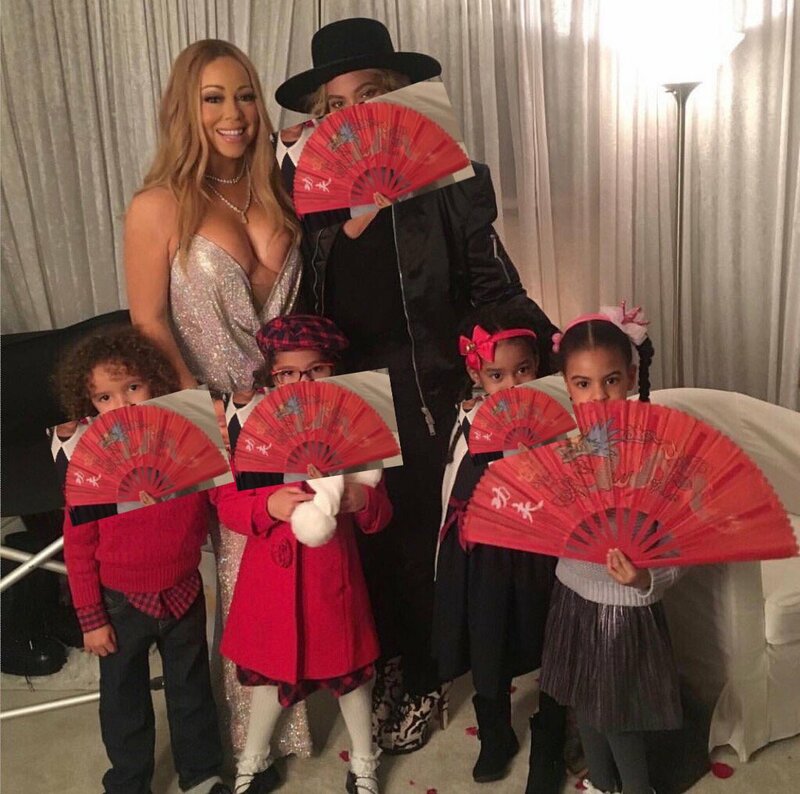 The superstars posed for photographs together with their beautiful children - 4-year-old Blue Ivy, 5-year-old twins Monroe and Moroccan at the backstage. “Backstage at Christmas time with our beautiful children. 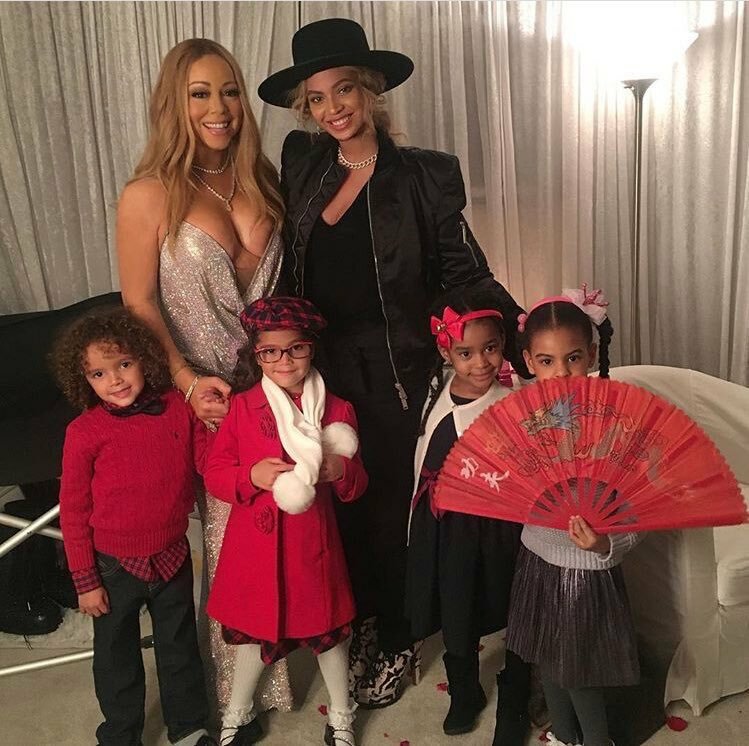 @beyonce #christmas #family #love,” Carey captioned the group picture Monday. “I love you @beyonce thank you sooooo much for coming out tonight! #merrychristmas,” she wrote. Carey kicked off her third annual All I Want for Christmas is You concert series Dec. 5 at Beacon Theatre in New York, and will perform through Dec. 17. For everyone who owns a house or ground-floor flat, it's not always easy to keep a safe distance from the noisy neighbors. No, no one is suggesting we love being isolated from the rest of the neighborhood but what we do love though is having a little privacy when we want to spend some time alone, time with our friends and family and simply enjoy the vibe of our lovely space without having anyone intrude. 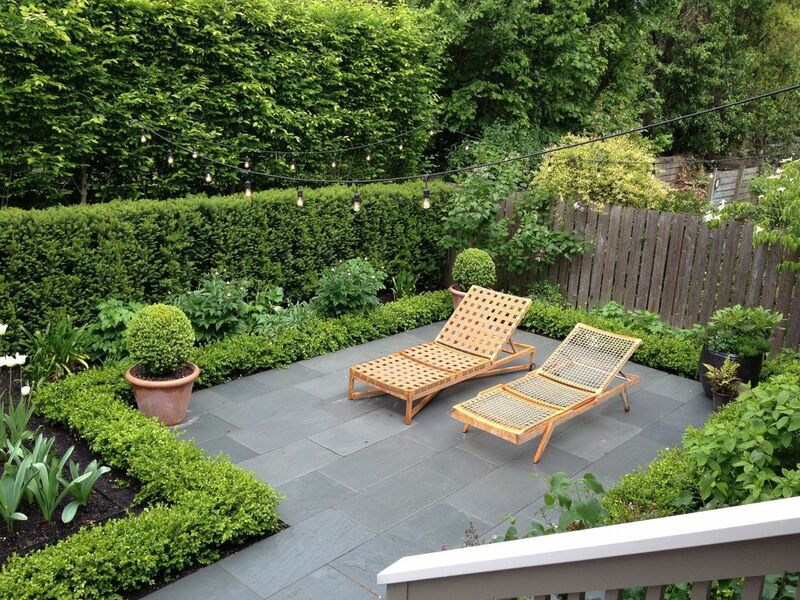 If you are one of the owners who is going back and forth trying to solve their backyard privacy dilemma, try using one (or plenty) of these creative solutions they've worked for us, and we hope they will for you, too! 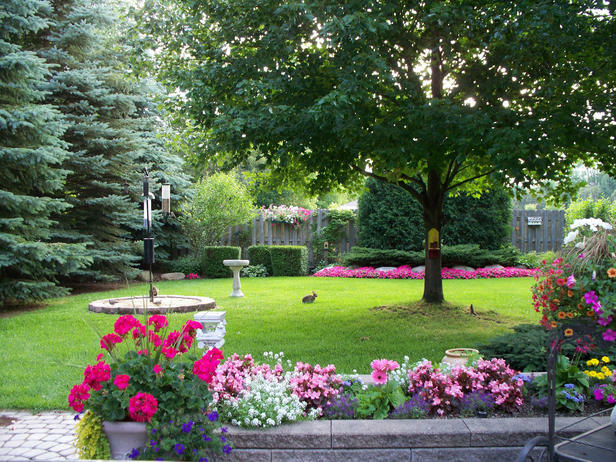 Flowers and greenery are always a perfect idea for both inner and outdoor space. Not only are they providing your space with some extra oxygen but they also tend to give the space a particular warmth, a decorative hint if you will. To separate your outdoor space from the neighbors, give your tall fence a new meaning by forming a vertical garden. It adds privacy with style and it doesnt appear aggressively secluded. The thing with a living wall though is that it may take some (read: a lot) of time to grow; to speed the process up, buy and plant already grown plants that you'll continue looking after. 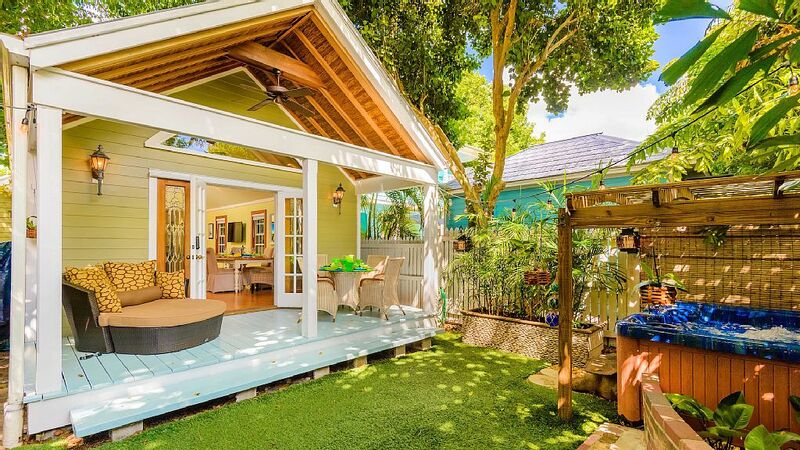 Privacy screens don't really need to be drab and boring; they may serve as a perfect opportunity for you to channel your inner creativity and give your outdoor space a unique vibe. 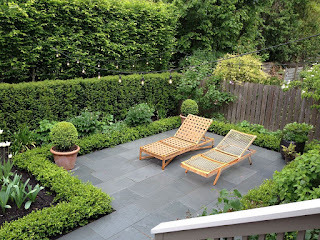 Go for custom pieces that will act as an interesting outdoor focal point and at the same time, serve their primary purpose - block the neighbor's view. Work with panel designers and suggest your own pattern if you've got it its going to be different and spectacular! If you are living in a house, a tall fireplace surrounded with tall bushes will effectively hide your yard and serve as an amazing entertainment space for your family and friends time! Talk about killing two birds with one stone, ha? Similar to the living wall but not entirely copied, the idea of going vertical with your flowers is pretty great simply because you don't have to go full-plant-wall on your space but you can use tall greenery and flowers to fill in the spaces that are visible to the neighbors. Plus, the more flowers the better your backyard will be colorful, interesting and inspiring. We kind of love the idea. Also, add more vertical cover on top of low concrete or brick walls by securing planters that will go with your overall backyard design. For everyone who is living in the city, a set of arched trellis will ensure that not even neighbors towering over you have a viewing access to your yard. If your yard contains an already-there concrete wall, a partition added will offer plenty of privacy. Plus, it looks super stylish with the right choice of wood! Outdoor curtains added to your pergola are simply perfect! They're easy to move, they're stylish (and can come in virtually any color or pattern) and they add to your overall outdoor decor. To keep things chic, you can always add waterproof shade sails they will give the space a touch of East, turning it into a real exotic arena to enjoy. And guess what? The fact they're waterproof is making it easy on you to curl up with your favorite book and a hot cup of cocoa in the yard, even when it's raining! See? We've easily come to a solution together! Hopefully, you'll go for an idea or two we've discussed here and secured a wonderful (and private) time with your family!